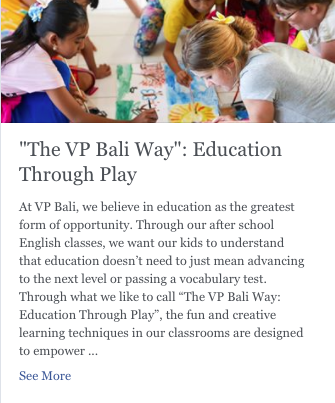 During my time in 2017 at VP Bali, an international volunteer organization with community outreach programs in Ubud, Indonesia, I broadened my professional development by pivoting skills from previous internships into a new field. 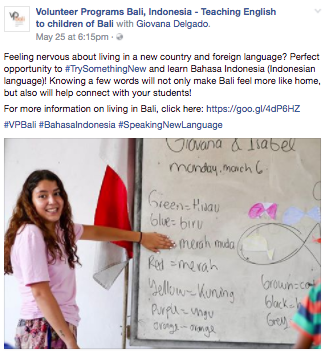 While in Bali, I helped launch a major rebranding initiative through multiple projects. I developed a fresh brand voice and communication strategy for the copy across their new brand site, and incorporated this messaging through social media campaigns, blog posts, video projects and more. 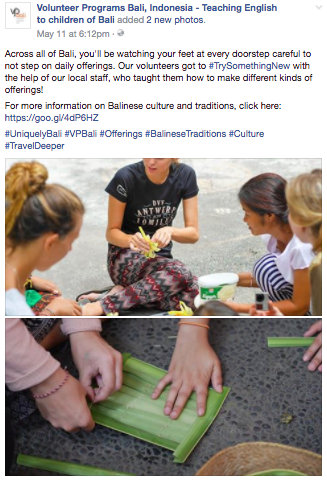 I also spearheaded the content creation for new brand assets implemented across multiple social platforms.